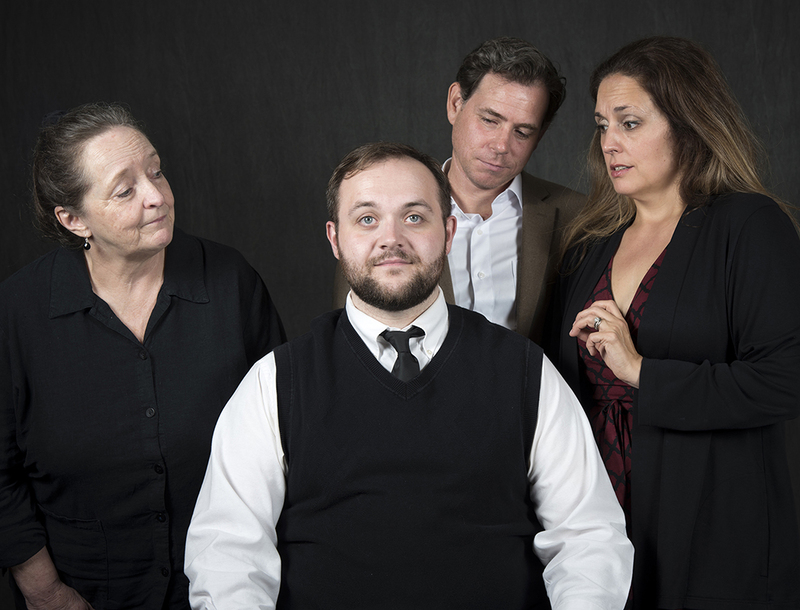 Pictured left to right: Carol Charniga, Evan Jones, Dennis Schebetta and Josephine O'Connor. With help from an intriguingly innovative technology in a future not far from our present, 85-year-old Marjorie examines her past, sometimes replacing her realities with idealized memories. Jordan Harrison’s thoughtful, spare, subtly shattering work, a 2015 Pulitzer finalist, explores the ways our humanity is shaped and warped by the mysterious ebbs and flows of memory. What would we remember, and what would we forget, given the power of authorship? Director: Dr. Krysta Dennis works as a theater-maker and director in the US and internationally, and teaches at Siena College. Krysta holds a dual PhD from the University of Kent in the UK and the Sorbonne in Paris. Recent credits include: Playwriting: Dutch, Votes for Women, Burden of the Ballot. Directing: Aleda (Musicians of Ma’alwyck), Arcadia (Siena College) The Little Foxes (NorthEast Theatre Ensemble), Blithe Spirit (Theater Voices). Krysta enjoys working in spaces not designed for theater and employing innovative theater technology in her work, utilizing video mapping technology for Arcadia, and virtual reality technology mixed with live performance for Dutch at Historic Cherry Hill.